You booted from an external drive and installed Linux to the SSD disk and everything seems to work fine. But after shutting down the system you suddenly cannot boot anymore. Googling for it brings several similar issues but it’s hard to find a solution between all those people’s postings looking for help. The problem seems to be that the BIOS does not detect the SSD drive correctly. And this in turn leads to the boot problem because GRUB by default relies on the information detected by the BIOS for disk access. 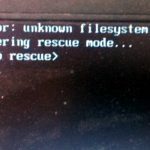 Luckily, GRUB offers different methods for booting and detecting drives. There are two options, but in any case you need a bootable drive. Ideally you have a Linux installation image on a USB stick or any other external drive. Power off your computer, connect the drive, power-on and boot from the external drive. As soon as the boot menu of GRUB is loaded you can try to reset the system (CTRL-ALT-Del) and boot directly from the SSD drive. This at least worked in my case with a HP Compaq 25010p with the latest BIOS version (which is from 2010). 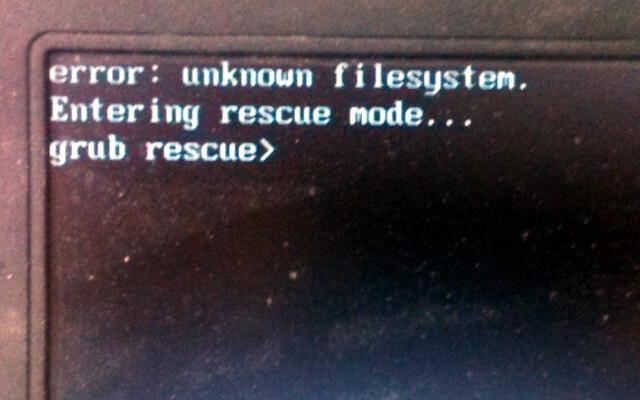 If this does not work, restart the procedure by powering off and on again and boot the rescue system from the insallation image. You have to replace sdX with the name of your SSD drive which most probably is sda. grub-install: --disk-module: (PROGRAM ERROR) Option should have been recognized!? In this case the version of GRUB installed on the system apparently does not support the native disk module. This is the case if you use Debian Jessie. The solution is to install a newer GRUB package of GRUB, e.g. from Debian Stretch.